Thanksgiving is here at last! For many Americans, this is their favorite holiday of the year. What’s not to love? There’s family, friends, and cheer, and of course the star of the show: Thanksgiving dinner. It could very well be our cats’ favorite holiday of the year as well. All that delicious food and more delicious food, and then the delicious leftovers for the next three days. As we’ve said, what’s not to love? Well… (you had to know this was coming) there could be a few things that you and your cat wouldn’t love. If the wrong foods are eaten, or eaten too much, your poor cat could feel some unwelcome side effects. It wouldn’t exactly be lovely for the rest of the household either. Here are some tips on what to give and what not to give your cat on Turkey Day. 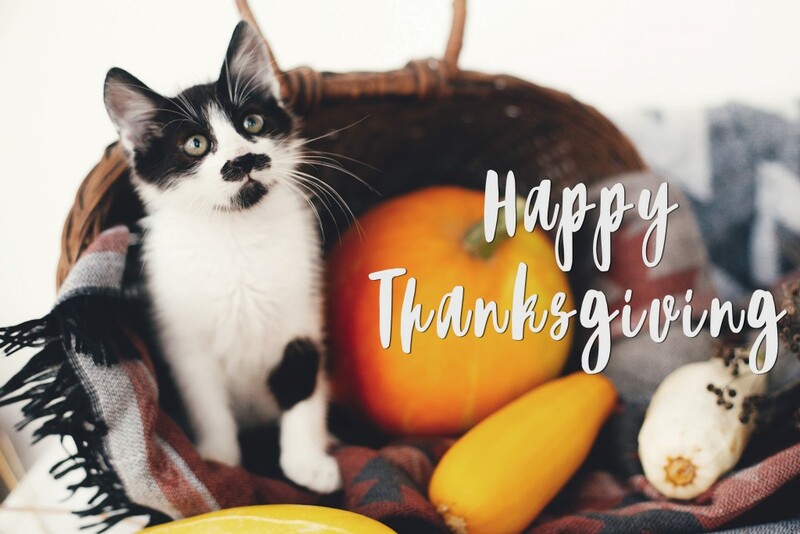 Hopefully, these tips will help your cat enjoy Thanksgiving, and the leftovers for the rest of the weekend. Turkey breast is a good treat for cats because it’s high in protein, low in fat, and cats just love the taste. Properly cooked, it’s a healthy snack for cats. However, even though it’s fairly healthy, it is still a human food, so you should go easy on the portions. Perhaps you could dice it up and mix it with wet food or dry kibble for a more filling meal. Green beans can be a healthy snack for cats, just watch out for spices and flavorings. 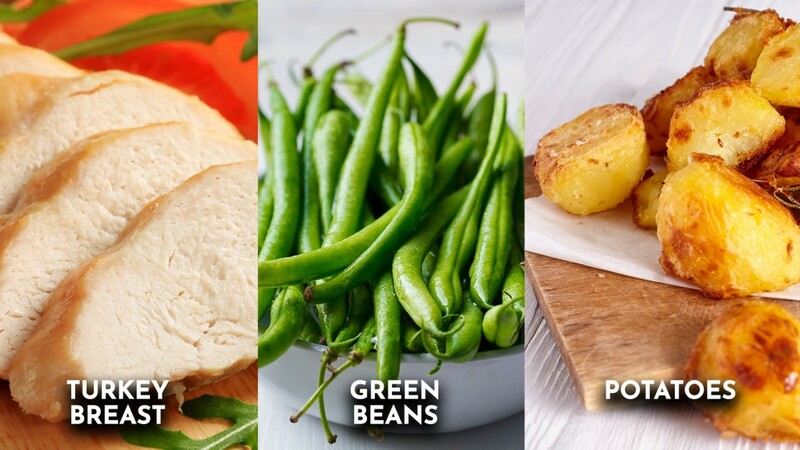 Plain green beans are best because they contain healthy nutrients without the additives like salt, sugar, and oils. Remember that these are snacks as well, and a whole bowl of green beans might not be the best idea for your cat. Moderation is key. Small quantities of potatoes can be digestible for most cats. Obviously if your cat shows signs of allergies or intolerance, you don’t want to feed them potatoes, even a little bit. However, for most cats, potatoes in moderation is perfectly acceptable. Just make sure to not to overdo it. 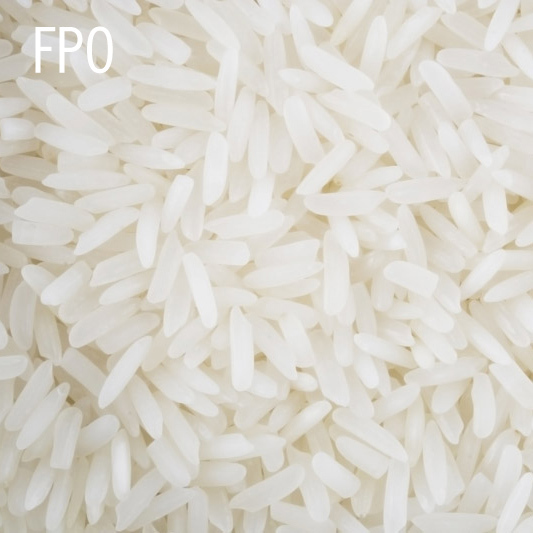 The starch content could spike blood sugars if consumed in large amounts. While turkey breast meat is fine for cats, you should not give them turkey (or any poultry) skin. The reason is that they’re full of fat, which is not exactly healthy, and because oftentimes they’re usually coated with oils and spices. 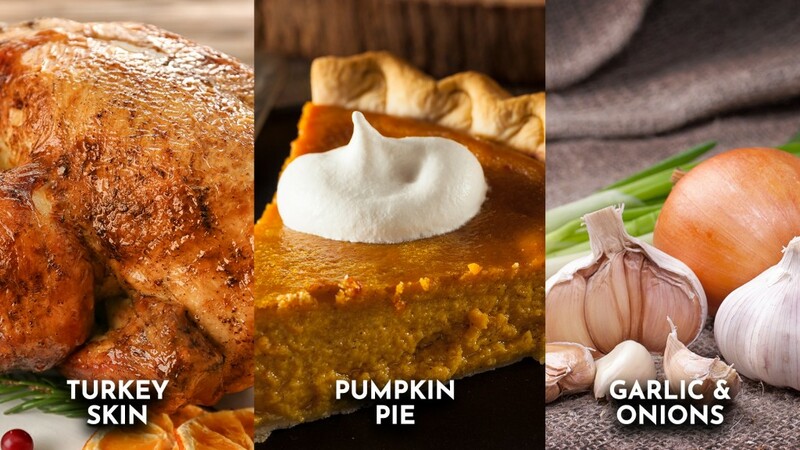 When we cook turkeys, we impart flavors through salt, fat (oil or butter), and a variety of seasonings. These ingredients can cause harm to cats and are best avoided entirely. Pumpkins can be a source of fiber, vitamins, and other healthy nutrients for cats. Pumpkin pie, on the other hand, is not. Pumpkin pie is made with a lot of sugar, which cats should not consume, and can contains spices that are harmful if ingested. Those spices include nutmeg, cinnamon, and cloves. These are toxic for cats and should never be allowed for consumption. Even though turkey and green beans and potatoes can be safe for cats, they’re not safe if they’ve been seasoned or cooked with onions and garlic (and all in the Allium family, e.g. leeks and chives). In larger amounts, these ingredients can destroy red blood cells and cause anemia. So much so that in certain quantities, it can be fatal. Avoid giving your cats any foods that have been cooked with these ingredients. A very small amount might be harmless, but it’s always best to err on the side of safety. You want your cats to be happy. During our favorite holiday, where we share wonderful food with friends and family, it’s difficult to not include our precious c. However, we must use some caution. It’s not that our cats can’t eat anything from our Thanksgiving meal, we just need to be careful so as not to harm them when we give them treats. All things in moderation is a good rule to follow, as well as being mindful of what cats can and cannot eat. If we are cognizant of what we’re feeding our beloved creatures, they can enjoy the wonderful foods of Thanksgiving without having to pay the price. It’s the least we can do for our animals, to keep them safe and happy.